DES MOINES, Iowa – Lottery players across the U.S. are scooping up $2 Powerball tickets in hopes of beating the odds and winning a massive $700 million jackpot as Wednesday night’s drawing nears. What is Powerball and how does the game work? Powerball is played in 44 states plus Washington, D.C., Puerto Rico and the U.S. Virgin Islands, all of which collectively oversee the game. Drawings are held twice a week, with the next one Wednesday at 10:59 p.m. Eastern Time in Tallahassee, Florida. Five white balls will be drawn from a drum containing 69 balls and one red ball will be selected from a drum with 26 balls. Players can choose their numbers or let a computer make a random choice. The odds of matching all six numbers remain the same, at a miserable one in 292.2 million, regardless of the jackpot prize. However, a larger prize attracts more players and that means more number combinations are selected, so the probability increases that one or more people will buy winning tickets. So, an individual’s chances of winning don’t increase, but the odds that someone will win do rise. Tom Rietz, a professor at the University of Iowa who researches probabilities, says it’s hard for people to fathom what odds of one in 292.2 million mean. For a better sense, he suggests people envision the 324 million U.S. residents. Your chance of winning is roughly comparable to being that one lucky person out of the entire population, with everyone else losing. Cornelius Nelan, a mathematics professor at Quinnipiac University, puts the odds in perspective by noting they’re about the same as flipping a coin and getting heads 28 times in a row. The jackpot will keep growing until someone matches all the numbers, and that can take awhile. The reason the prize is so large is because there hasn’t been a Powerball jackpot winner since June 10. After someone wins the jackpot, the prize will drop to $40 million, then resume its growth. The $700 million jackpot is second only to a $1.6 billion prize shared by three people in January 2016. The current jackpot refers to the annuity option, doled out in 30 payments over 29 years, increasing 5 percent annually. 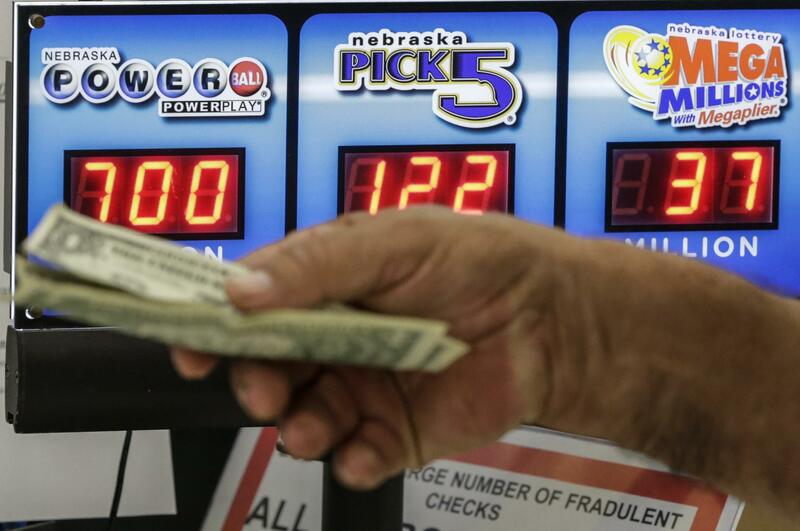 Nearly all winners favor the cash option, which would now be $443.3 million. The advantage of taking cash is that people can invest the money with hopes of a greater return than the guaranteed payments they would receive through the annuity. The downside is they’ll pay a little more in taxes and won’t have the certainty of giant annual paychecks for decades. Winner should expect to pay 30 percent or more in taxes. Federal income taxes will take a 25 percent bite from winnings. State taxes vary, so the amount winners will pay in depend on where they play. Some of the nation’s biggest states, including California and Texas, don’t assess state taxes on lottery prizes, so winners in those spots would be just a bit richer. Face it, you’re almost certainly not going to win the jackpot, but players have much better odds of one in 25 of winning a lesser prize. Those odds range from one in 11.7 million of winning $1 million for matching the five regular balls to one in 38 for matching the Powerball and winning $4. Published: Aug. 23, 2017, 12:25 p.m. Updated: Aug. 23, 2017, 1:07 p.m.